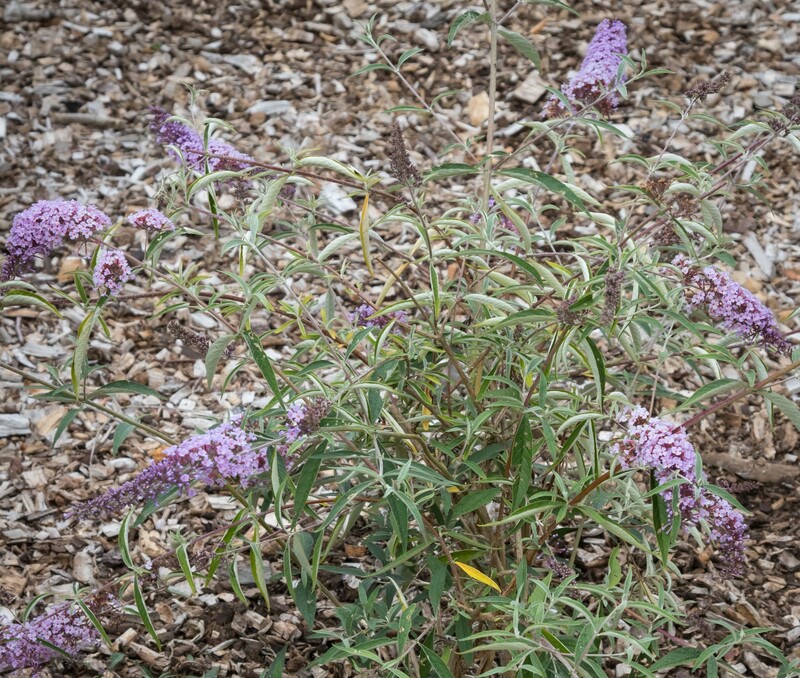 Elegant slender branches with narrow leaves and long narrowly cylindrical panicles of pale lilac blue flowers. 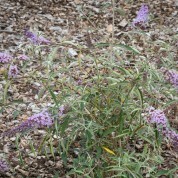 B.davidii var. 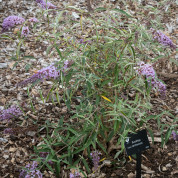 nanhoensis is chiefly distinguished by its small size, rarely growing to a height of 1.5m; the shrub is of a more compact habit than the type with narrower leaves and shorter flowers. Now very rare in cultivation, unlike its various B. ‘Nanho’ hybrid cultivars. 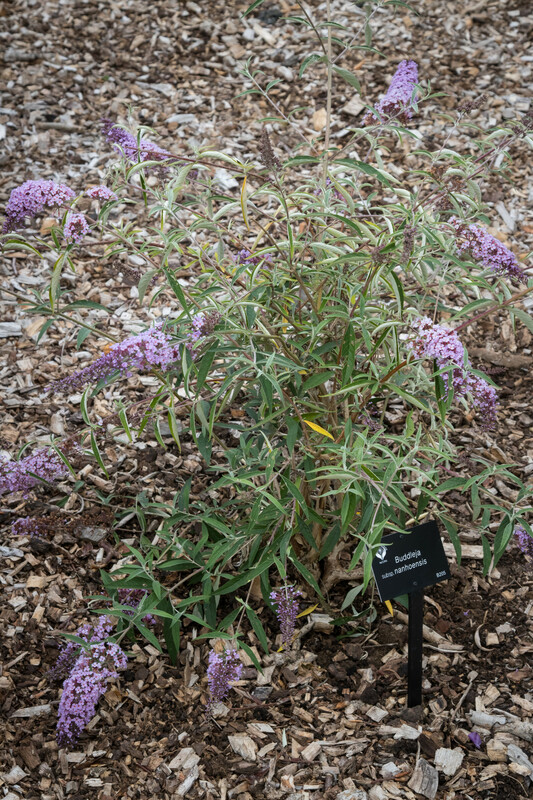 Buddleja davidii var. nanhoensis is endemic to Kansu, China and was introduced to cultivation by the famous plant hunter, Reginald Farrer in 1914.